So I am a crazy lady and have already started packing. We close in less than 4 weeks and I want to be on top of things. I kind of feed off of organization and I actually had a lot of fun doing it (weird, I know). Our current home is now up for lease and I wanted to declutter a bit and I also felt weird having people in our house seeing all of our stuff. I have been collecting boxes from work and want to make this move efficient and easy! Jon was on the road for work Tuesday night and came back late last night so it gave me ample time to go OCD on packing. I ended up taking down 43 picture frames....yes you heard that right, 43 frames. In barely 1100 square feet. If my whole house could be covered in pictures, I would be happy! I also took down wall decor, random accessories, and pictures off of our fridge. Last night I also started this book. Okay I only read 3 pages because Jon was almost home but I have a feeling I will finish it quickly. Beverly Hills is my favorite Real Housewives group for sure. Jon got home late last night but I still managed to show him 4 of the songs I've choreographed for Zumba :-). I can't wait to start teaching!! Jon said after seeing the songs he is intimidated to ever go to a class (yeah right like he'd ever go!). Ohhhh, you'll have to let me know your thoughts on Taylor's book! I've been so curious about her story. Also, can I say that I envy your OCD organization impulses? I'm the opposite. I despise packing and moving and organizing. That's good that you started packing! Packing is horrible so it's better to gradually do it. Love the OCD packing! HAHA I started out that way when we were moving too...and then just started chucking things in boxes!!! Hopefully you end a little more organized than me. :) I love the picture frame... so cute! Oh - and what songs are you choreographing for zumba?!?!?! Yeah for Zumba! I just went to my first class yesterday and loved it! You teach Zumba?!?! Man I wish I lived near you... I go twice a week and its my fav!!!! 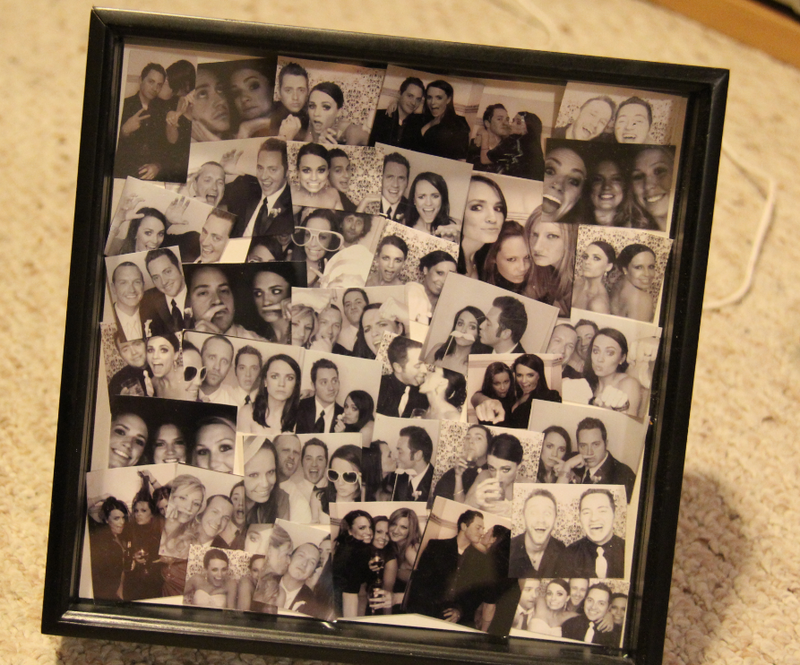 Love that photobooth shadowbox idea! Great job on the packing!!! It is crazy how much stuff you find that you forget about!! You should video your zumba classes so I can do them at home... I'm too scared to goto a class! I wish I was even HALF as coordinated as you need to be for Zumba - it always looks like fun! I am loving the photo booth pictures not only because you get to decorate with them but because of what it means to you both. Such a sweet way to look back at great memories! a ruthie jon collage!! How FUN! Wanna know something super depressing? The week we got home from our honeymoon (last JULY) I went to Ikea and bought 15-20 picture frames. not a single one is up.. they are all under my dresser. we dont have ANY wedding pics up! you are inspirng me to do that now hahah! so excited for your move & for you to have your very own home! PS: you are teaching zumba?!?!!? you are a woman of EVERY trade - I swear! nothing wrong with packing early. high five for teaching zumba! I love hanging pictures too and probably have about 75 hanging up. Wait Taylor has a book? I would actually be interested in reading it.. that girl went through allot I can only imagine. I can't wait to hear how you like that book! She is a little cray-cray in my opinion, but I bet her story is great. I wish I lived in the Austin area instead of the Dallas area. I would go to your Zumba class for sure! 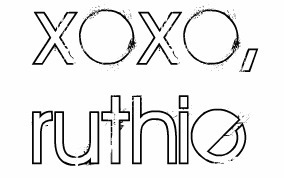 first time at your blog and i love it! especially because you have a frenchie. even more especially because we both have mustaches on our banner. Love what you did with the pictures! Dang! You certainly did get crafty! I love it! And I also love that you are already packing! My next project is to tackle the man cave... (we just have piles of stuff all over it, and it needs to cleaned up!). Hi! I'm a new follower! I found your blog via a comment on my hometown post from Meg's blog! 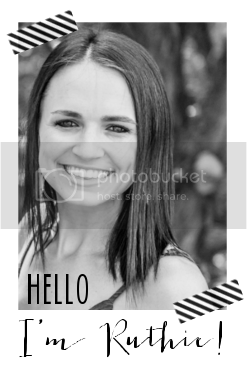 I LOVE meeting fellow Aggies :) Love your blog! I can't believe you have that many picture frames!! That collage came out great. I love photo booth pictures. I love the photo collage! What a great way to hilight your favorites without compromising space! A long time ago our refrigerator was plastered with photos and momentos but when we moved, I used that as an opportunity to declutter, too (plus, I was too OCD about covering up our brand new refrigerator)! I wish I had thought of this with the photos - it's a great idea! Oh my gosh! What a great idea. 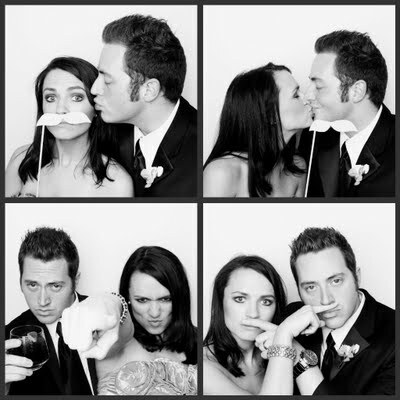 And i lurrrrrrve photobooths :) So. Much. Fun. I can't wait until you tell about the book. I have read some stuff on line but am curious because you only get snippets here and there. I can't wait to see where you hang the new collage. Let me know what you think of the book...I was thinking about reading it myself! confession.. i've never done zumba (gasp!!) but i want to so badly!! it's so great that you are an instructor!! how fun that must be! i've literally never heard anyone say anything bad about it - only how much they love it. I just downloaded...well a few weeks ago, Taylor's book. I'm just waiting for some time to read more than a few sentences here and there. I hope it's good! I actually REALLY love the look of a fridge without all the mess plastered on it. Ours is also stainless, and although it freaked me out at first, it feels like our kitchen can breath a bit! We've been on a decluttering/spring cleaning kick this month, so I can appreciate the high you get off of organization!